Modi tweeted very frequently, with an average of 13 tweets per day. 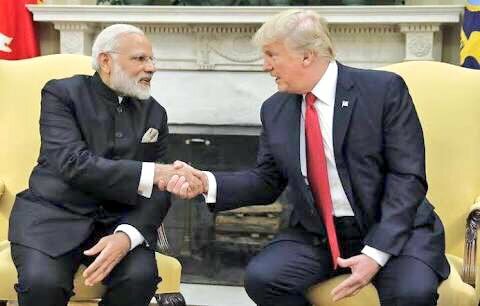 Prime Minister Narendra Modi has become the most tweeted world leader after President Donald Trump. According to the data released by Twitter on Tuesday, with 37.5 million followers, Modi is the most followed head of state across the Asia-Pacific region by far, with Indonesia’s President Joko Widodo coming in second with 9.1 million followers. Modi has also emerged as the most followed Indian on Twitter. He has been ranked 30 for the number of followers among all Twitter users. President Trump has 44.1 million followers on the micro-blogging site. According to Twitter, two factors help him gain huge followers. He tweets almost every day and sometimes he tweets more than once on the same day. For instance, on Dec 1, he had sent out eight different tweets. The smartphone penetration in India has also helped Modi amass followers. An estimated 300 million people in India use smartphones, making it the largest smartphone market. In the past 30 days, Modi tweeted very frequently, with an average of 13 tweets per day. Other world leaders to figure in the top 10 list are Nicolas Maduro from Venezuela, Recep Tayyip Erdogan of Turkey, Emmanuel Macron from France, Enrique Pena Nieto from Mexico, Mauricio Macri of Argentina, Britain’s Theresa May, Columbia’s Juan Manuel Santos and Akun Resmi Joko Widodo of Indonesia. Other most followed Indians on Twitter are Amitabh Bachchan, Shah Rukh Khan, Salman Khan, Akshay Kumar, Aamir Khan, Deepika Padukone, Sachin Tendulkar, Hrithik Roshan, and Virat Kohli. Carter Wilkerson’s plea for free chicken nuggets was the most retweeted tweet of this year. Wilkerson’s tweet, “Help me please… a man needs his nuggs” was retweeted 3.6 million times. Former President Obama’s tweet “No one is born hating another person because of the color of his skin or his background or his religion…” was the second most retweeted tweets of the year.